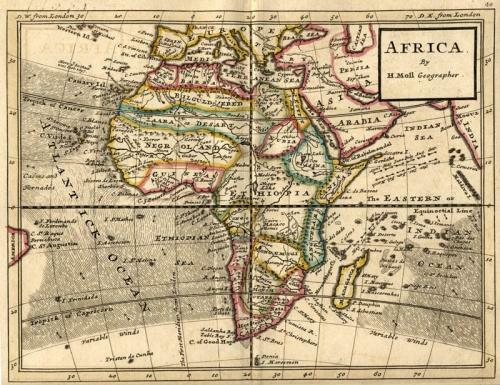 1732 - This map of Africa was published in 1732 by Herman Moll in "ATLAS MINOR". The country outlines are hand colored, bodies of water are named and prevailing winds are shown in the oceans with lines and arrows. Rivers, islands and principal cities are identified. The paper is strong and the colours are bright.